It’s important to identify what sorts of stereotypes impact your beliefs about the man’s role and the woman’s role within the marriage. People develop beliefs about roles within the marriage based on what sorts of relationships they witnessed within their own family. Stereotypes also develop based on media images. Children look to their parent’s relationship as the first example of a romantic relationship. Witnessing what roles their father and their mother play within the home is witnessed by the child. Children tend to assume that this is what all relationships must be like. For a child who grew up in a home with parents who had traditional roles, this can impact them in adulthood. Children in raised in this environment may believe that the man should earn the money, mow the lawn, fix the plumbing, and work on the car. The same child may believe that women should raise the children, clean the house, and do the cooking. In the past, television images reinforced these believes. Children who grew up watching Father Knows Best and Leave It to Beaver witnessed women who were domestic goddesses and men who worked outside the home. Compare this to children in today’s world who are watching reality television and imagine the stereotypes they develop about relationship roles. For someone with stereotypes about traditional roles in the marriage, they may experience problems in their marriage. In today’s society, the majority of women work outside the home. However, a man with traditional role stereotypes may still expect that his wife do all the cooking, cleaning, and child care. He may be angry if she asks him to do the dishes and think she is lazy if she can’t keep up with everything. A woman with these stereotypes may feel guilty if she can’t keep up with all the household responsibilities, which can also impact the marriage. It’s important to take a look at the stereotypes you have developed about marriage and the roles within the marriage. Determine what beliefs you may have held that no longer apply. Talk to your spouse about your expectations and beliefs and discuss what you would like your role to be within the marriage. 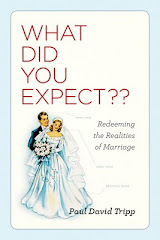 Unrealized expectations are a major contributor to marital dissatisfaction. If there is any chance that you or your spouse may be experiencing the negative feelings that emanate from unfulfilled expectations you need to have a very candid conversation now. This is not a matter of right and wrong, it is a matter of different perceptions. It is important that you each explore the source from which you have formulated your opinion and honestly ask one another whether your particular circumstances warrant a different approach.